If you have 5 Lumene coupons then make sure to do that deal. I didn’t include it in the scenario since I write them for people with one set of coupons. Transaction #1 – Bausch and Lomb. Spend $5.89 after using the coupon listed in the match and you will get a $6 Extra Care Buck back. Transaction #2 – Papermate Grip Pens, Schick Hydro, 2 Skintimate Shave Gel ($1.50 coupons – you can print 2 per computer). You will spend $0.47 after using the coupons listed in the match and you will get a $1.99 Extra Care Buck back. Transaction #3 – Schick Hydro. Use the printable coupon listed in the match and the previous ECB. 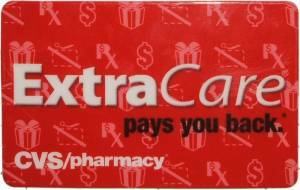 You will spend $3 and get a $10 Extra Care Buck back. Previous post: Win 40 lbs of FREE Chicken! Hurry!